We frequently receive donations of a variety of materials, and just recently several vintage advertisements arrived in our mailbox. A sampling is below. 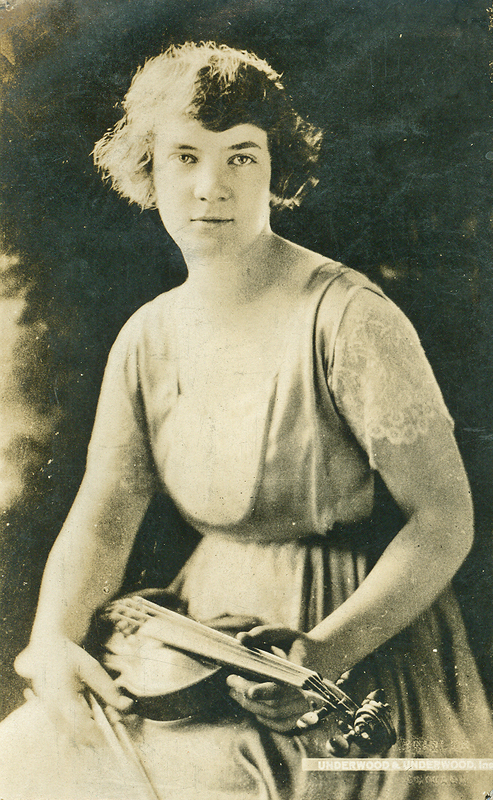 Front of a photo postcard of violinist Amy Neill . 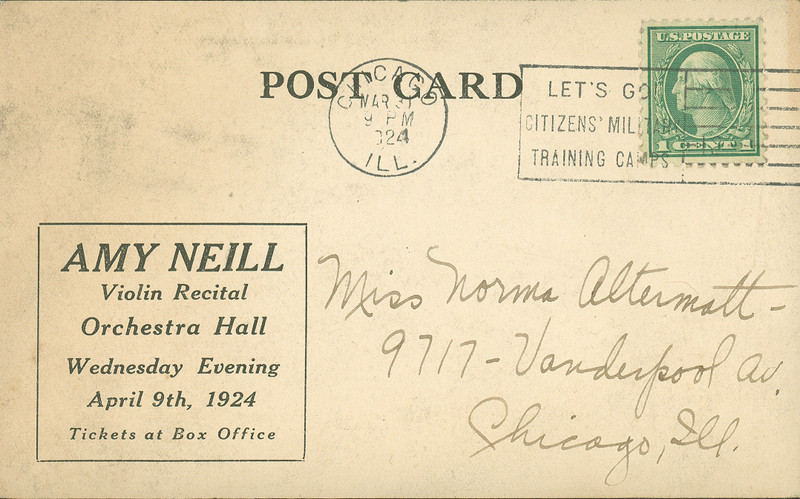 . .
American violinist Amy Neill appeared in recital on April 9, 1924, having appeared at Orchestra Hall at least once previously, with the Chicago Symphony Orchestra in April 1921 as soloist in Bruch’s Scottish Fantasy with Frederick Stock conducting. Her recital program included Mozart’s Violin Concerto in D major (it is not clear if it was no. 2 or no. 4), D’Ambrosio’s Violin Concerto in B minor, and Sarasate’s Introduction and Tarantelle, along with a number of Fritz Kreisler arrangements. Her accompanist was Isaac van Grove. 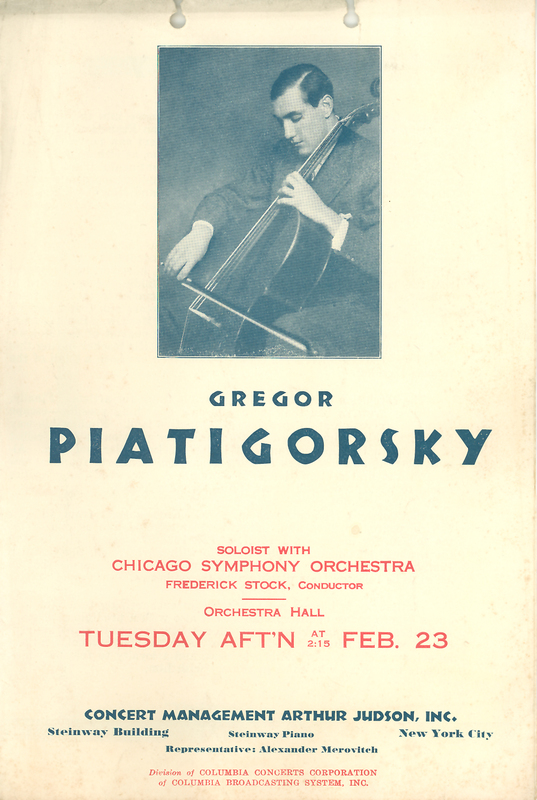 Neill appeared again with the Orchestra and Stock in January 1926, in Glazunov’s Violin Concerto. 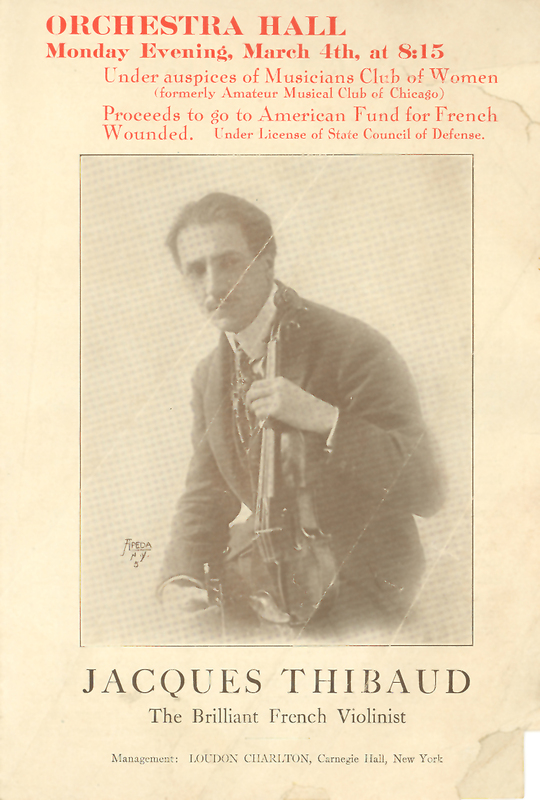 Her program biography from those appearances indicate that she was born in Chicago and had studied with Hugo Kortschak (a member of the CSO’s first violin section beginning in 1907 and assistant concertmaster from 1910 until 1914). Neill had spent some of her early career in Europe, appearing as soloist with the New Queen’s Hall Orchestra, the Amsterdam Concertgebouw Orchestra, and the Vienna Symphony.